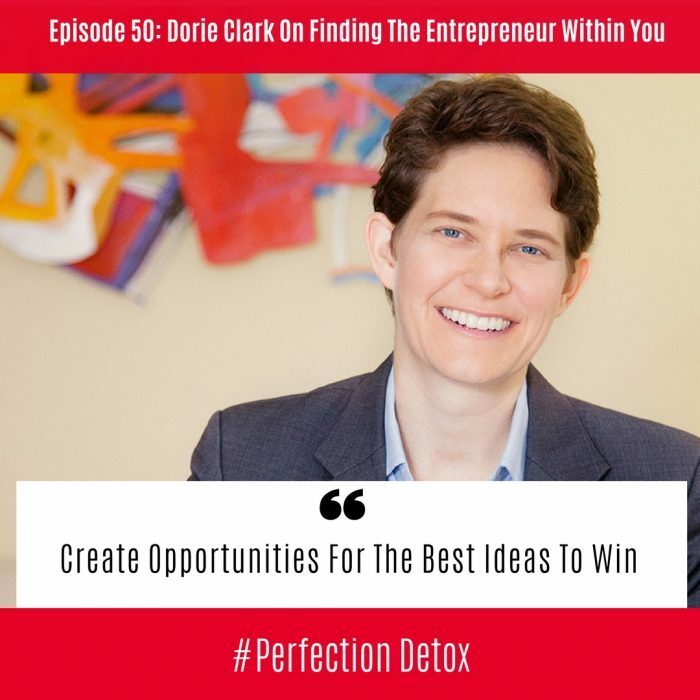 As I pivot away from fitness as my main source of income and into writing and speaking Dorie Clark has been a huge mentor, and I am excited to share with you her wisdom and expertise in this show. 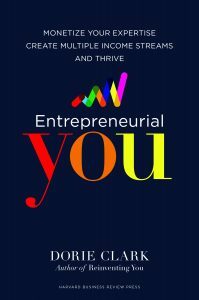 She shares so many useful tips and strategies on how to finally make money doing what you love, and this conversation is rooted in the work of her new book, Entrepreneurial You. Dorie gives her insights on what it takes to create multiple revenue streams and how to make money by sharing your expertise. She believes that so many of us run ourselves into the ground from working too hard and it is only when we work smarter, not harder, we can be our best self – avoid burnout and share our message. We talk about the mindset needed to succeed, and we dive in around the topic of money and how it is important to learn and know the market standards and what it pays (whatever your market may be) to be able to price ourselves fairly and wisely in the arena of our career. Dorie shares words of wisdom by advising us not to quit our day job but to mitigate the risk and build your new side hustle overtime. Try several things to see what fits best for you and your life. Perhaps explore a side hustle as a way of revisiting your creativity and pursuing your passion. Now is a great time to start a second career and immerse yourself in what you love, learn all you can and share your knowledge. Dorie shares her process when deciding what to do, and believes that your first step is looking at what people are already coming to you for. Often you are so good at something that you don’t even realize that it could be your strength and your unique voice in the world. After that test the marketplace around your ideas. Dorie talks about staying with it versus quitting and she encourages us to plan, prepare and know what metrics are important to you when deciding how long you are prepared to stay in the game before cutting bait and moving onto something else. We talk about the online space and what it takes to get a business up and running. Basically, this is your time to shine and so why not do it online. Online can be a fantastic way to make passive income where you can share your knowledge without taxing your body. She shares the biggest mistake she has seen with Entrepreneurs: One being a fixed minded and only staying with what they know, and so miss some opportunities that are right in front of them. The other mistake is one that creative’s can get caught up in, and that is doing too many things at once. Avoid becoming so busy creating new things that you don’t have the time to put the care and time in, to make it work. Dorie recommends starting with one or two revenue streams per year. Get good, get better, dive in and then layer on more. A former presidential campaign spokeswoman, she is a frequent contributor to the Harvard Business Review, and is a consultant and speaker for clients such as Google, Yale University, and the World Bank. She is also a producer of a multiple Grammy-winning jazz album.